In its role of supporting the sector, GEVES is proposing a novel high throughput method for the detection of Ditylenchus dipsaci on alfalfa seeds as well as a new test to confirm the viability of isolated nematodes. These methods are now included in the GEVES 2019 service price list. Alfalfa seed lots received in the phytopathology lab are currently analysed using a filtration method (ANSES MOA013). This method consists of immersing the seeds to allow the nematodes to migrate into the water. This water is then filtered, and the extract is observed with a binocular magnifying glass to detect the presence of nematodes from the genus Ditylenchus. 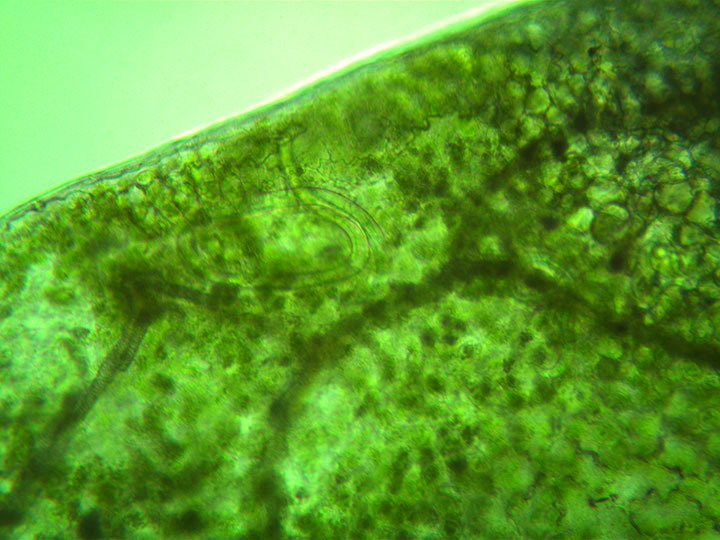 The nematodes are then collected and observed under a microscope for species identification. This method is difficult to implement without prior training. It does not allow rapid analysis of large sample volumes, which creates an operational bottleneck. In addition, seed companies now have different technical solutions for sorting alfalfa seed lots and eliminating nematodes. The lots are therefore in most cases negative or characterised by the presence of dead (and non-damaging) D. dipsaci. Following requests from seed companies and establishments, the need for rapid screening of seed lots and for a method to assess the viability of D. dipsaci was identified. New methods have therefore been developed: a pre-screening method based on the principle of Seed Extract (SE) PCR and a staining method for nematodes. These methods have been validated as part of a collaborative project funded by the French Ministry of Agriculture (CTPS CASDAR) to identify negative seed lots specifically and quickly. The method has different advantages: a rapid identification of negative seed samples allowing to release seed lots more quickly and increase laboratory capacity up to twice as much as the conventional method. This PCR detection and identification technique and evaluation of viability of D. dipsaci allows for faster and complementary screening. The SE-PCR is considered here as a pre-screening method; the morphobiometric method (ANSES MOA013) remains the reference method for deciding on batches with the addition of a staining step on isolated nematodes after identification. Développement d’outils de détection et de contrôle de viabilité du nématode des tiges, Ditylenchus dipsaci, sur semences de luzerne (Medicago sativa L.).